Posted by Lorely on April 30, 2016. 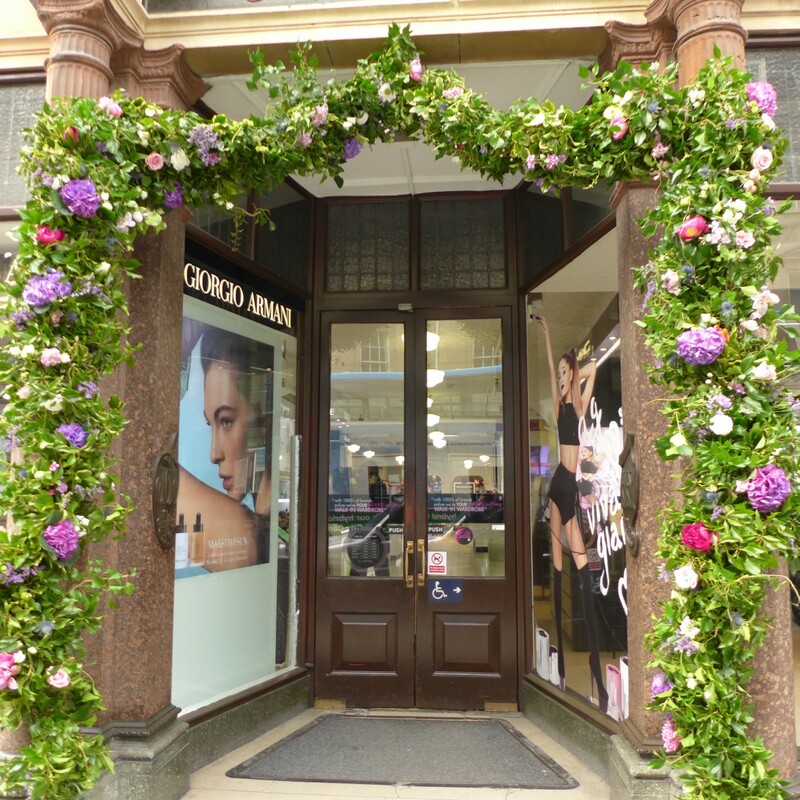 With Bath in Fashion always a success it was great to join in with the festivities! 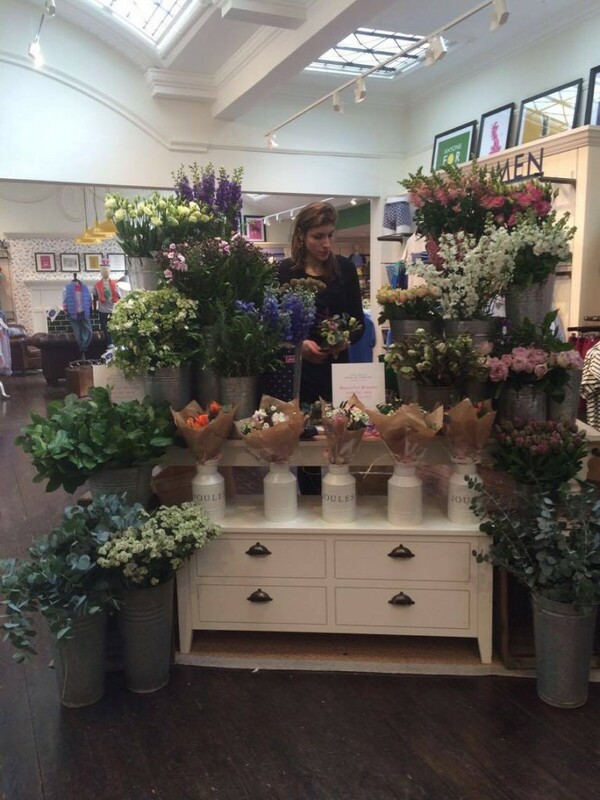 Joules in Bath had decided to give away a free bouquet with every purchase, so a mini flower shop was set up in the store and Sky and Viv were kept busy making posies for very happy customers. 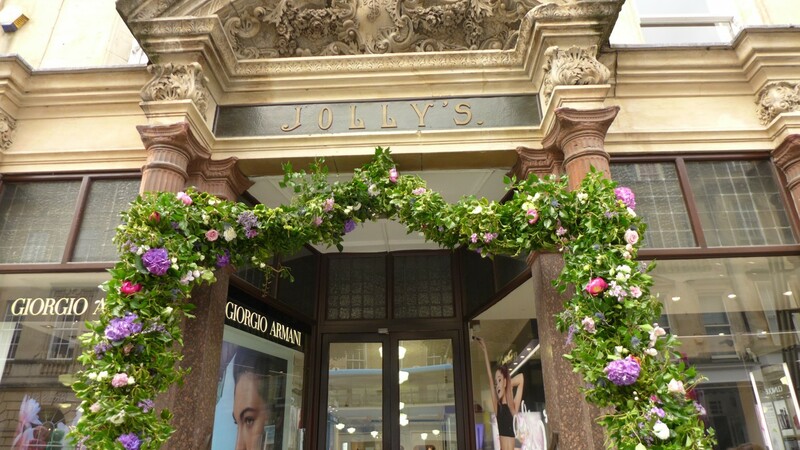 Country garden flowers were the perfect choice for Joules, so the posies were full of antirrhinums, phlox, delphiniums, hellebores, roses and larkspur. 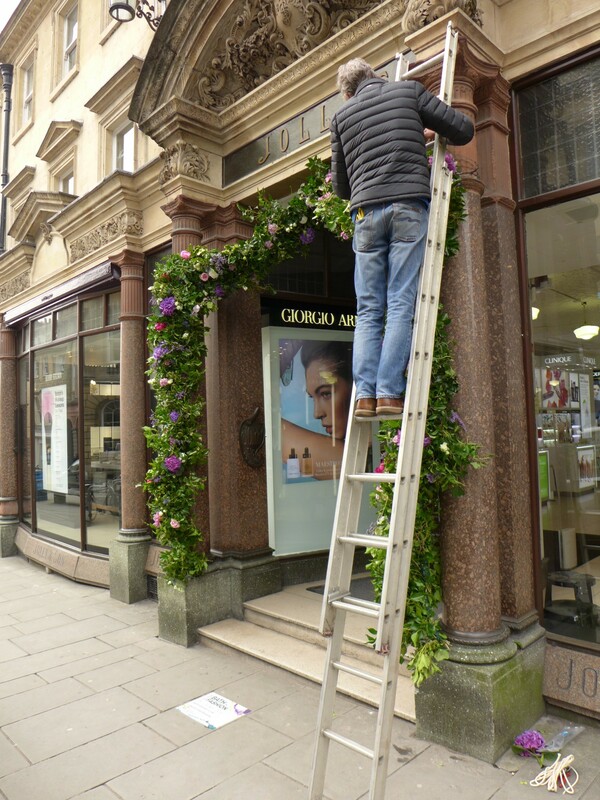 Next up was the challenge of hanging the garland that Jolly’s had commissioned, cold fingers on a cold morning, but an early start before the crowds and it was soon up! Angela and Tracey spent many hours hidden away in the workshop and it looked beautiful once in place. 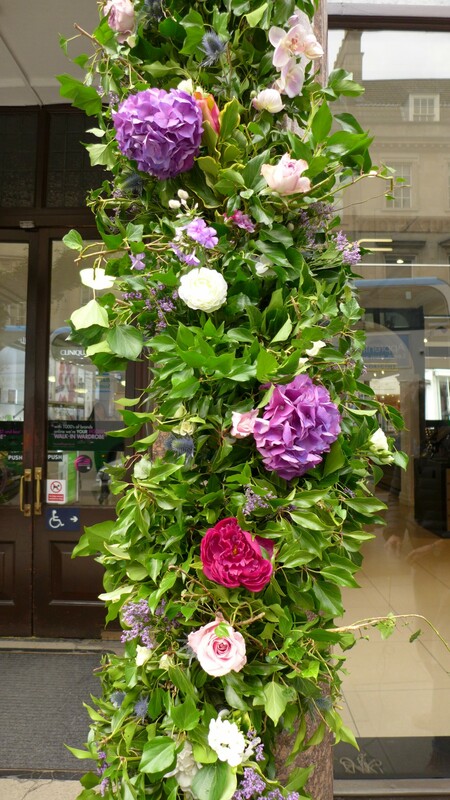 The garland of ivy was threaded with hydrangeas, hyacinths, roses and peonies and managed to survive the heavy down pours over the coming days.